The EBS-250 is the ultimate in lightweight compact coding where a 27 mm (1-inch) maximum printing height is required. By using solvent-based inks, the EBS-250 provides fast, clean printing on a variety of materials from cardboard and paper to metal, glass and plastic. Water-based inks are also available for specific applications. 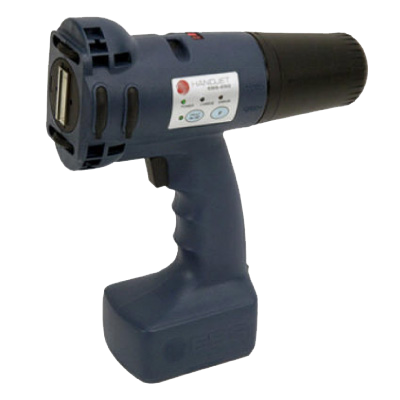 An ergonomic, well-balanced, hand-held inkjet printer with a 5-inch full-colour LCD touch screen. 12.7 mm (or 0.5 inch) maximum printing height. Prints multiple fonts, bar codes and custom logos. Uses HP TIJ 2.5 technology ink cartridges with porous or non-porous ink to suit any situation. Prints a one- or two-line impression with text, number, date and time, quickly and quietly on all even and uneven surfaces, forms, bundles of documents and envelopes. Using the MP-Series that uses a quick-drying ink cartridge, you can print on surfaces such as metal and plastic. Print a number, date, time and text in a one- or two-line impression. Adjustable character widths, maximum 20 characters per line, maximum print width 42 mm. Simple menu selections with a user-friendly LCD display. Different impressions stored in the stamp memory. Custom texts or special functions can be stored. Quickly adaptable to the changing demands of any situation. The most compact printer ever. The new Smart Jet is the most reliable and the most compact inkjet printer for packaging printing on the market today. Plug and print Hewlett Packard TIJ 2.5 inkjet technology. 300 dpi @ 75 m/min, 150 dpi @ 150 m/min. and 100 dpi @ 230 m/ min. Wi-Fi connection via Android and iOS, smartphones and tablets. SD card slot for future firmware and font upgrades. Built-in photo sensor and Aux port for optional external photo sensor. Anti-shock mounting for printer protection. Maximum font size of 12.7 mm (0.5 inch). Available with porous or non-porous ink. MSSC has entered into an agreement with HP to utilize their thermal ink jet technology to develop the most effective means for end-users to code cartons and other porous and semi-porous substrates. Easily utilized at line speeds up to 60 mpm (200 fpm) and requires a minimal conveyor space claim. End-users make use of a digital menu driver for quick and easy operation in English, Spanish, French, German and Japanese. The standard software features of the QM2 are upgraded options in other machines. 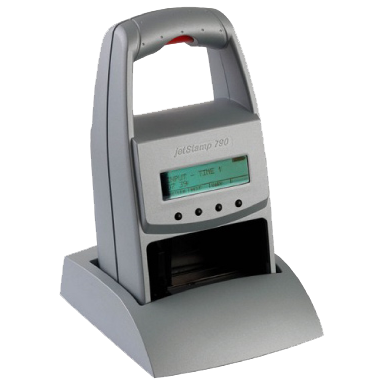 These include date codes, time codes, expiration dates, counter, repeat print, adjustable dot density, 2 fonts, programmable print direction and programmable line speed. Standard print resolution is 300 dpi but is adjustable to 600 dpi. 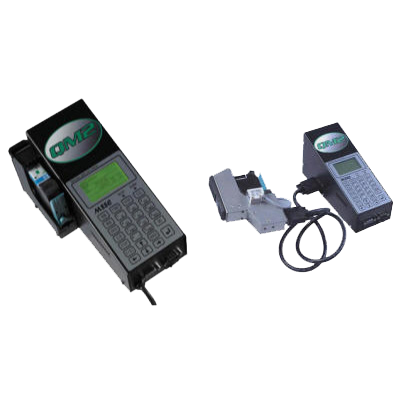 The QM2 utilizes a 42cc ink cartridge; a 370cc bulk ink system is also available. The QM2 is currently available in 2 models. 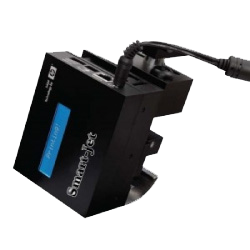 QM2-101 has print head attached to controller; Model QM2-111 allows for remote mount of print head using 2 metre data cable in applications with limited space. 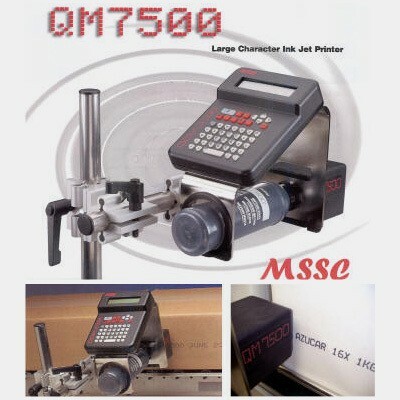 The QM7500 is a compact single-line ink jet system that can be quickly installed, programmed and printing in minutes. The easy-to-use icon keys allow you to adjust and edit product codes with a single touch. Customize time and date codes, expiration dates, rollover hour and more. Menu-driven programs include electronically-accurate automatic date change, clock functions and consecutive counts. The QM7500 is a great low-cost choice, with its high ink mileage and low maintenance requirements. Standard print height is (10mm) 3/8″ with optional print heights of (7mm) 5/16″, (15mm) 1/2″ and (20mm) 3/4″. 7×5 dot matrix, 54 printable ASCII characters. Message length up to 40 characters. Message storage capacity up to 52 messages. Operating temperature is 4ºC (40ºF) to 49ºC (120ºF). Ink application for porous surfaces only. 23L (8oz.) bladder pressurized, non-aerosol ink cartridge. Approximately 120,000 characters per cartridge. 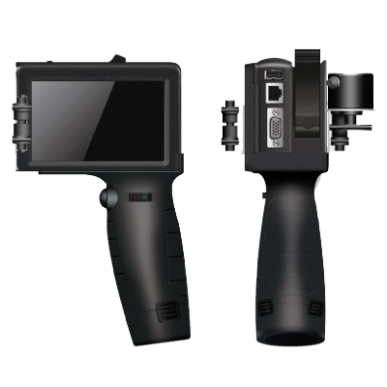 The QM7500 kit includes: The controller/key-pad, print head, power pack, power cord, mounting brackets and tubes, self-pressurized black ink cartridge and solvent cartridge. Shipping weight 6.4kg (14 lbs. ).